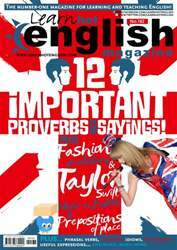 Digital Subscriptions > Learn Hot English > Hot English 162 > WHICH FAMOUS PEOPLE WOULD YOU LIKE TO MEET? Objective To improve your advanced listening skills by listening to several speakers chatting in an informal setting. Think about it Have you ever met anyone famous? Who? Where? What’s your definition of a famous person? Who would you like to meet? Why? Which famous person would you like to have lunch with? What would you talk about? Which famous people would you never like to meet? Why? SOME OF MY BEST FRIENDS ARE FAMOUS PEOPLE! Arthur: So my, my step-mum said she bumped… well bumped into, no, she saw Colin Firth in the supermarket the other day. She didn’t go up to him or anything.